In Brazilian herbal medicine, Catuaba is an aphrodisiac plant and is noted for it's ability to strengthen erections. 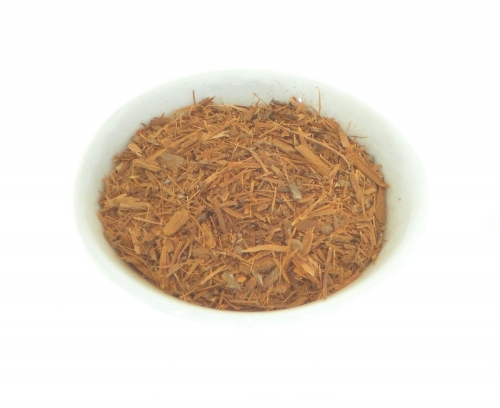 It's bark is considered a central nervous system stimulant with aphrodisiac properties and a bark decoction is used for nervousness, poor memory, prostatitis, and sexual weakness. It has also been studied for possible benefits as a protective against against opportunistic infection in HIV/AIDS. Catuaba is a medium-sized tree found in the Amazon forest in the northern part of Brazil. Common name: Chuchuhuasha; Tatuaba; Pau de Reposta; Caramuru; Catagu; Catigu; Catigua.